Lorcan O'Herlihy Architects designed the proposal. The bitter battle over 11024 Strathmore Drive—the site across from Richard Neutra’s famed Strathmore Apartments in Westwood—appears to have been finally resolved. On November 14, the Westwood Design Review Board (DRB) approved a stepped and textured apartment by Lorcan O’Herlihy Architects (LOHA)—a feat that the previous proposal for the site never achieved. 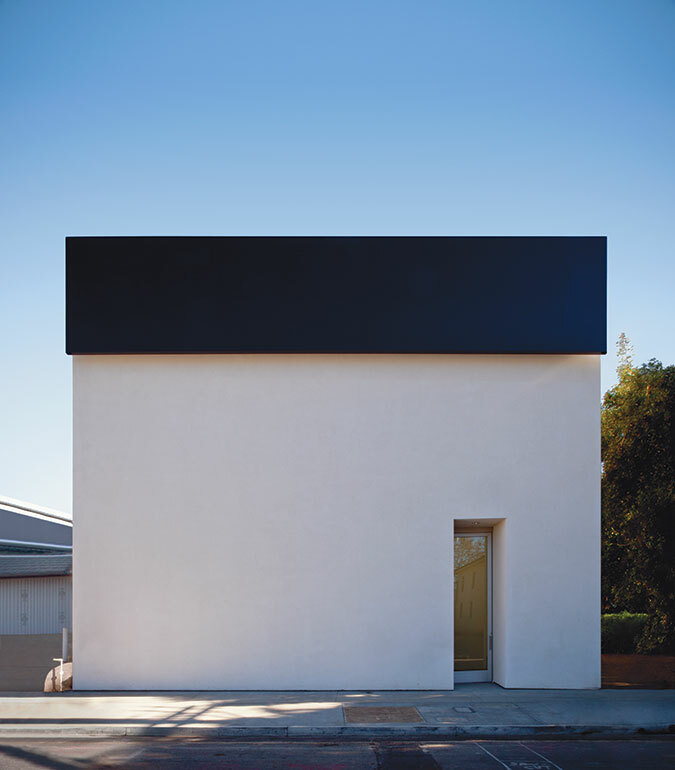 LA-based Togawa Smith Martin designed the previous iteration of the project—Grandmarc Westwood. 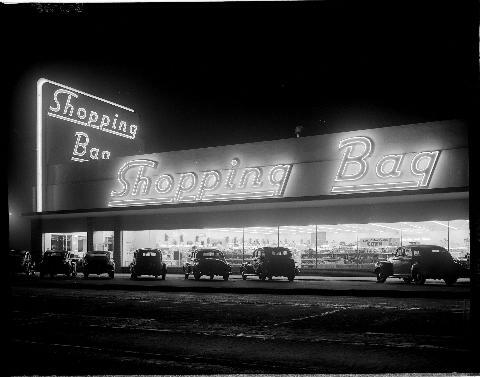 DRB rejected the large, box-shaped design six times on the grounds that its bulk, massing, and character were incompatible with Westwood’s North Village Specific Plan. 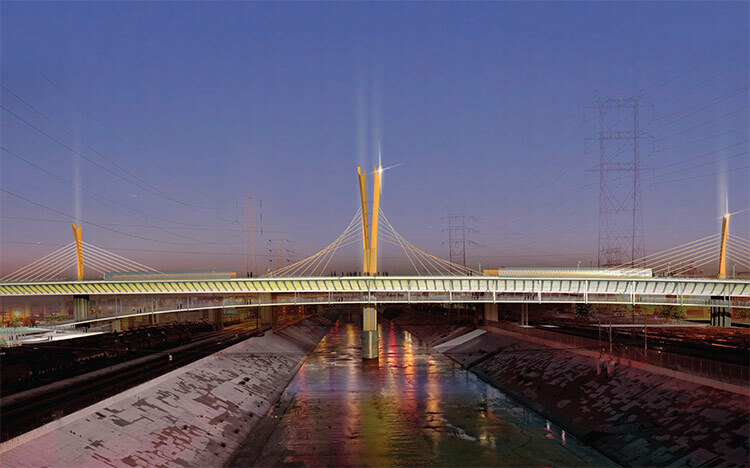 However, the LA planning commission approved that design last August. 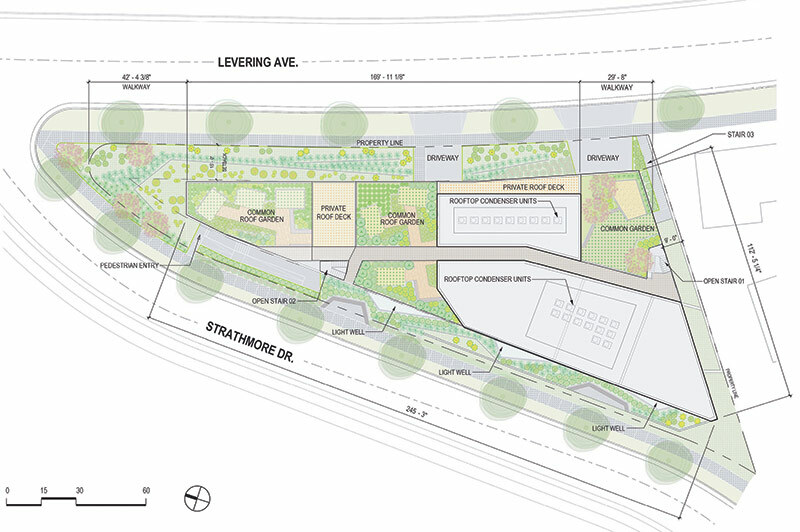 The new complex will step down the sloped Westwood site. 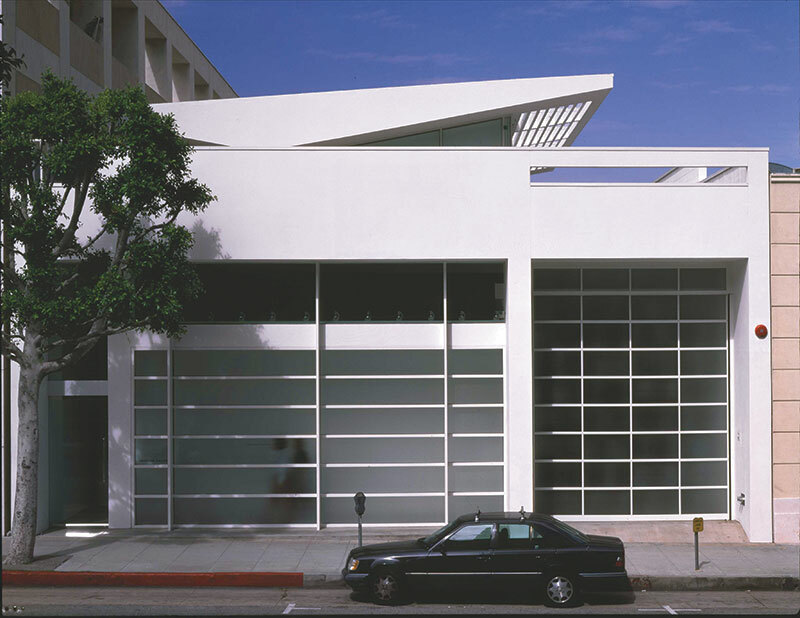 Local opponents, led by a group called the Friends of Richard Neutra’s Strathmore Apartments (FORNSA), fought the plan in Los Angeles Superior Court, which sided with them, forcing the developer, PPC Landventure, to reconsider its plans. FORNSA and PPC then negotiated a settlement in which the developer would move forward with a design competition. Others shortlisted for the project included Michael Maltzan, Michael Folonis, Daly Genik, and Koenig Eizenberg. 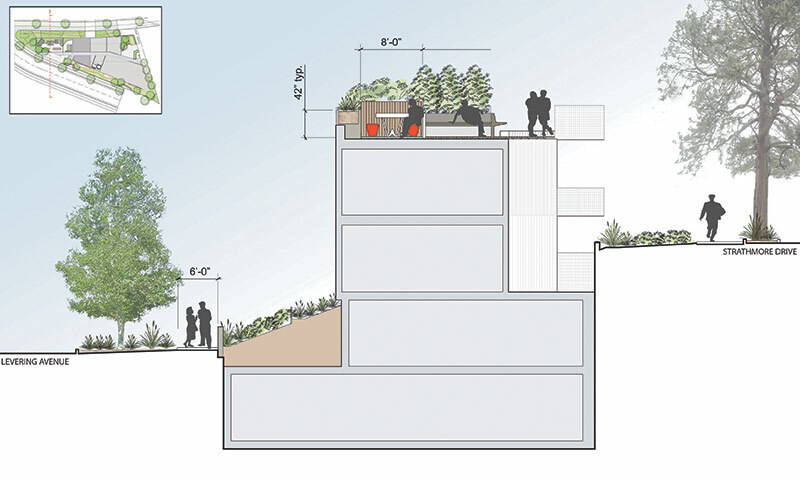 Section showing grade changes (left) and a roof plan detailing the building's green roof scheme (right). O’Herlihy emerged victorious. His plan is composed of two buildings that each step down the street across from the Strathmore Apartments, reaching their minimum height across from the modernist landmark. Their shifting volumes and their close connection to the landscape reference the Neutra building itself. “We were trying to riff on history,” said O’Herlihy. The buildings will be clad in metal panels—some solid, some perforated, and some corrugated. 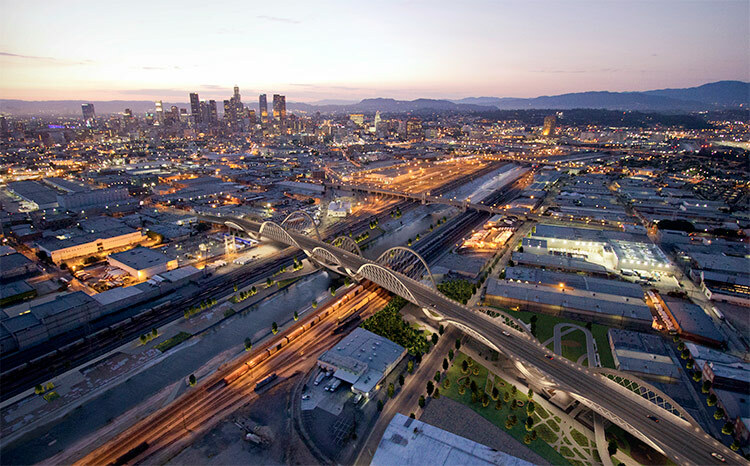 Downtown Los Angeles is about to get a lot curvier. 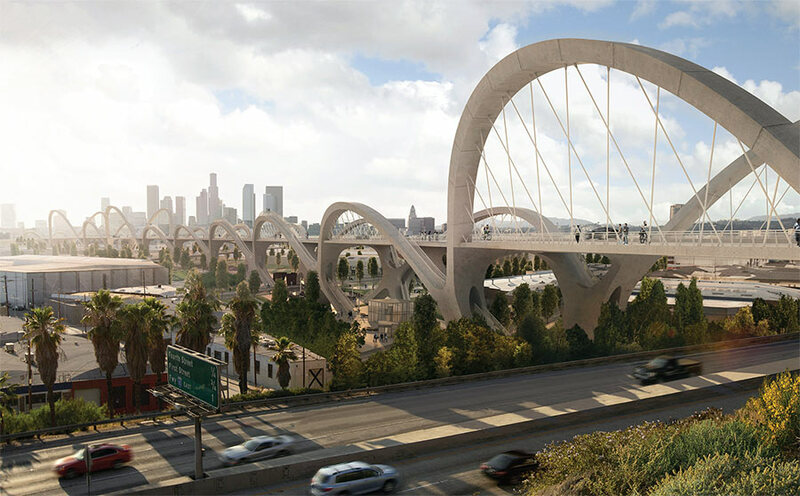 The competition to redesign one of LA’s great landmarks—its Sixth Street Viaduct—finally ended today, with HNTB’s surprisingly challenging scheme, made up of ten sets of concrete arches wildly winding across the Los Angeles River, taking the commission. The Sixth Street Bridge, an instantly recognizable Art Deco span designed in 1932, was one of a series of nine overpasses built atop the Los Angeles River between 1923 and 1933. 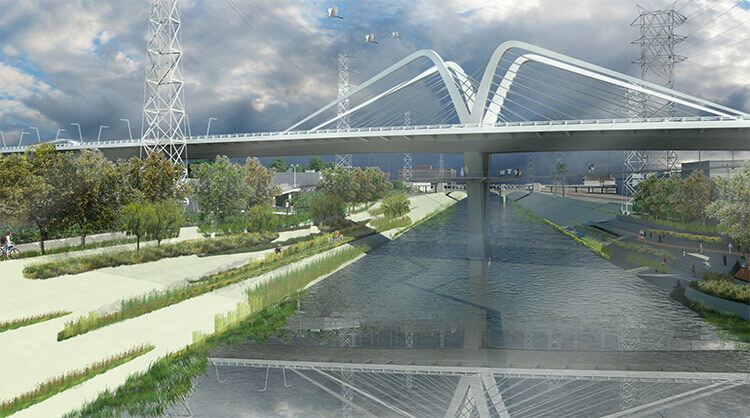 Although imbedded in the city’s psyche and a mainstay of movies and television shows, it was recently proclaimed unsalvageable due to irreversible decay, and last spring the city’s Bureau of Engineering called for a competition to design a new, $400 million, cable stayed structure. The other teams competing for the job were heavyweights AECOM and Parsons Brinckerhoff. HNTB’s team also includes Michael Maltzan Architecture, AC Martin, and Hargreaves Associates. 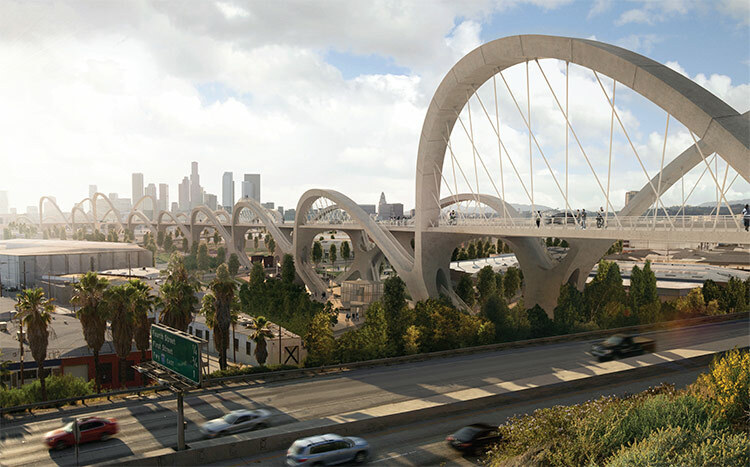 Their design, inspired by the “cinematic” experience of crossing the Sixth Street Viaduct, echoes the existing bridge’s rounded shape. The staccato rhythm of rough concrete arches will create a memorable experience by car or on foot. 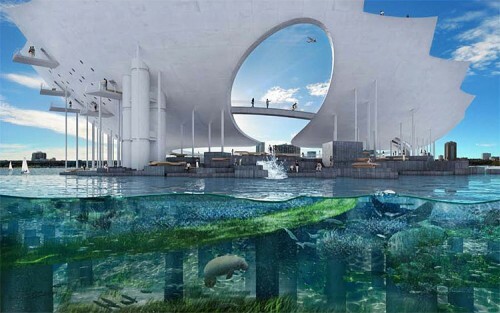 In fact some of the arches actually contain pedestrian pathways atop them, combining circulation and architecture, a rare feat that will create very unique perspectives of the city. 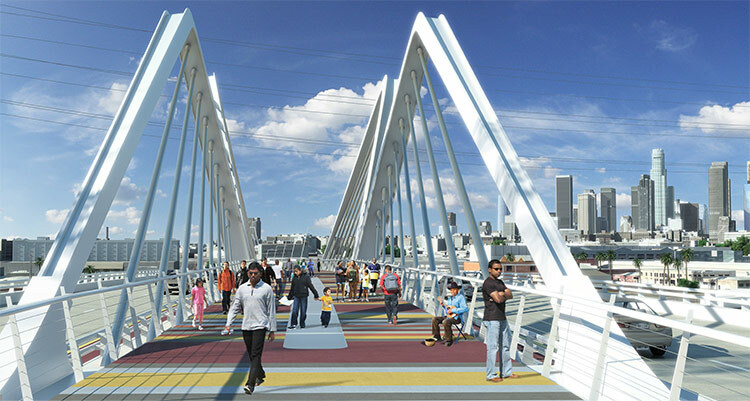 The walkways will also make their way down to street level, maintaining an important connection to the ground and the river. Below the bridge the scheme is full of life and will hopefully bring pedestrian activity and commercial viability to an area that, while bordering the Arts District and Boyle Heights, is currently car dominated and unremarkable. 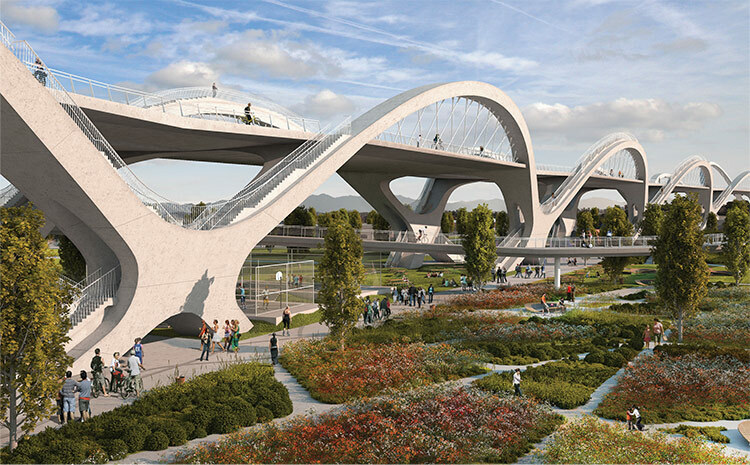 The plan contains a hard-scaped Arts Plaza under the bridge’s western span, containing a café, outdoor seating, a lookout, and terraced riverbank hardscape. Nearer to the bridge it contains a slightly softer Viaduct Park, containing a promenade, amphitheater, and skate park. 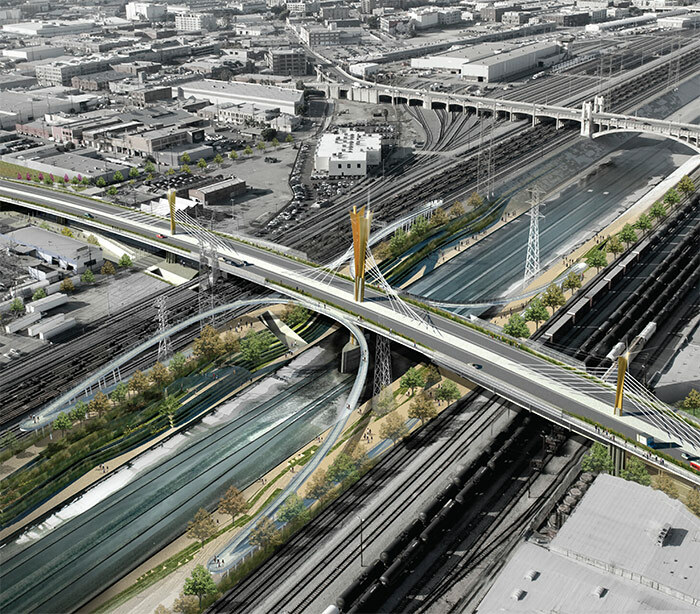 Under and around the bridge’s eastern span the plan includes the Boyle Heights Gateway, which will consist of playgrounds, sports facilities, a pedestrian promenade, a transit plaza, a lookout point, and the adaptive re-use of existing industrial buildings, a vital extension of the city’s Clean Tech Corridor on the other side of the river. All three competing schemes incorporated pedestrian-friendly designs and iconic profiles. 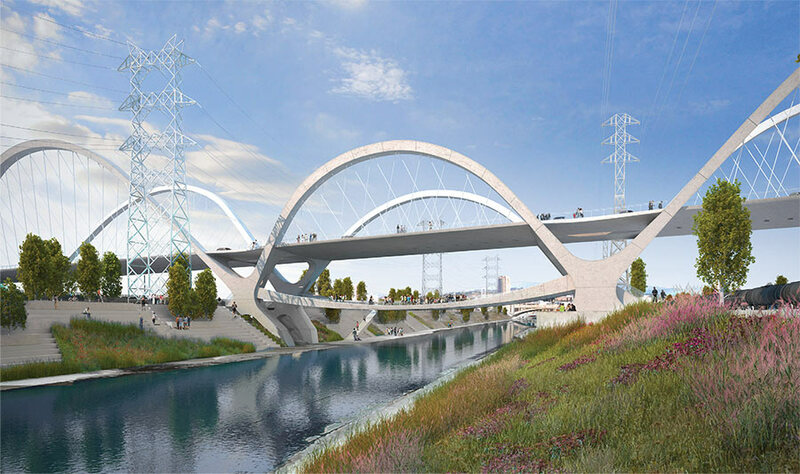 While HNTB’s scheme struck a chord in the design community, many thought AECOM and Parsons Brinckerhoff might have the upper hand because of their experience and clout. HNTB’s design appeared to be the most ambitious of the three, and some worried that it would be too costly. HNTB team members have pointed out that the easily replicate-able forms and ultra thin deck, among other factors, will keep costs down. 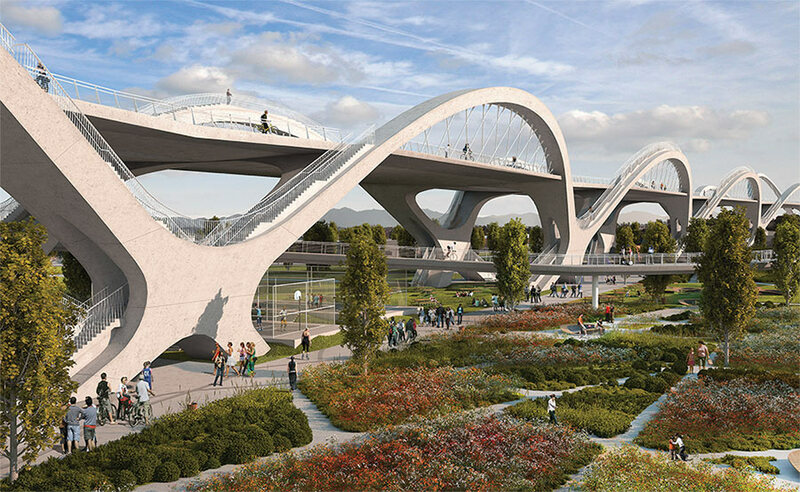 The bridge will be paid for substantially by state and federal funds, with only about one percent coming from the city. 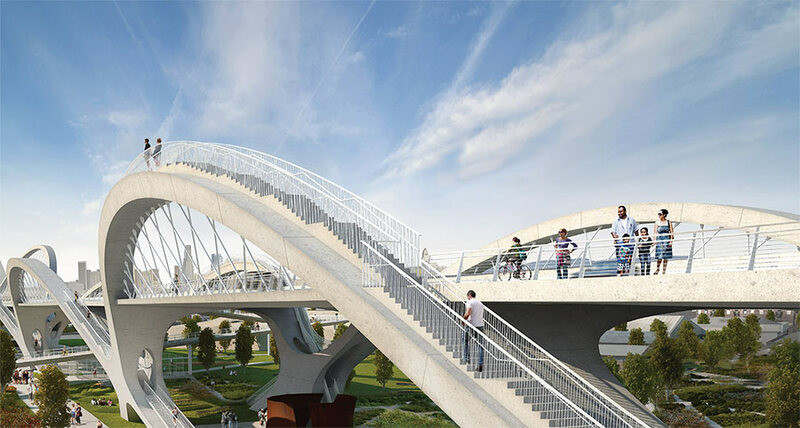 The design is set to be ready by 2014, with construction completed by 2018. 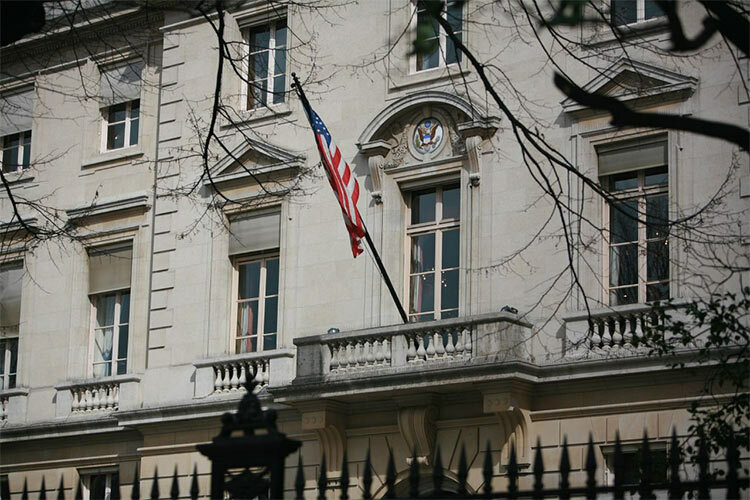 The U.S. Embassy in Paris. Michael Maltzan has won the commission to design a new residential annex for the U.S. embassy in Paris. His firm Michael Maltzan Architecture beat out Allied Works and Mack Scogin Merrill Elam Architects, who were also shortlisted for the job. The U.S. 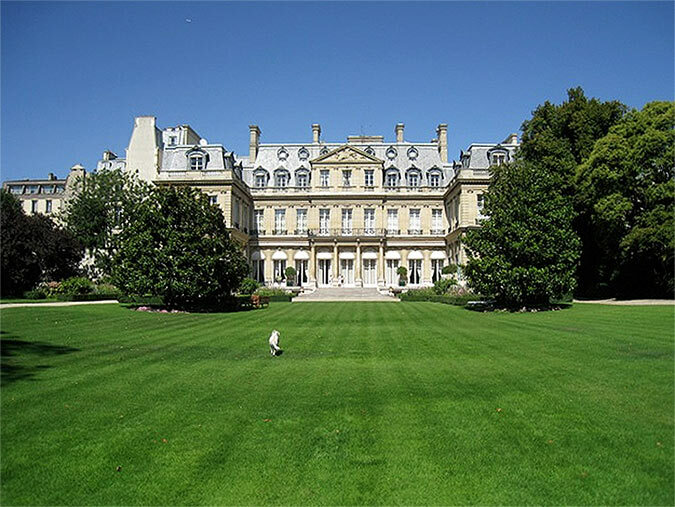 Ambassador's residence in Paris. Located on the posh Avenue Gabriel, near the intersection of the Champs-Elysées and the Place de la Concorde, the project will serve primarily as a home for embassy staff, containing ten to twelve residential units. It will also contain a mixed-use component. The building will be located next to the U.S. Embassy and near the U.S. Ambassador’s residence, a Renaissance-style building whose lush gardens are a legendary spot for diplomatic functions. In a nod to that history Maltzan said his building—whose design is not yet underway—will merge in some way with its landscape, which will be designed by famed French landscape architect Michel Desvigne, who has designed grounds for, among other projects, Jean Nouvel’s Walker Art Center expansion in Minneapolis and OMA and Norman Foster’s Dallas Center For The Performing Arts. 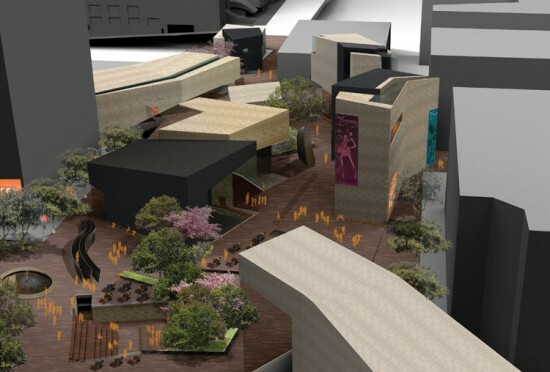 The building, of course, will be contemporary, not classical, Maltzan added. Maltzan was selected via the Department of State Bureau of Overseas Buildings’ (BOB) Design Excellence program, modeled on the General Service Administration’s Design Excellence program. In recent years the BOB has commissioned the U.S. Embassy in Beijing by SOM and the U.S. Embassy in London by Kieran Timberlake. 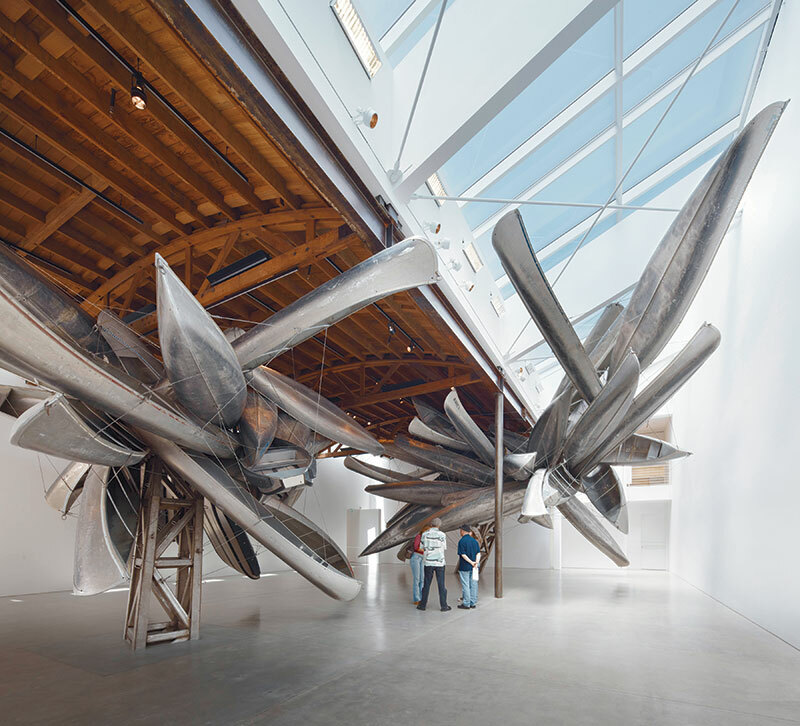 Columns are covered in aluminum tubes that branch out at the ceiling. 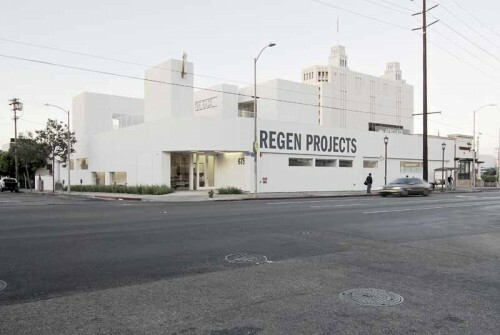 Few LA clients have as keen an appreciation for the added value of good architecture as the Skid Row Housing Trust (SRHT). To provide humane shelter for the city’s homeless, the nonprofit trust has commissioned leading local architects to design 23 SRO blocks Downtown, with others in development. Michael Maltzan won acclaim for his New Carver Apartments and Rainbow Apartments, and the organization has hired Koning Eizenberg, Killefer Flammang, and other well-regarded firms. Their most recent project is for themselves: Lorcan O’Herlihy Architects’ (LOHA) inspiring work environment for 60 SRHT staff. The upper floors of an old hotel at the corner of Central and Seventh had already been converted to housing units, and LOHA has transformed the ground floor, formerly used for storage. 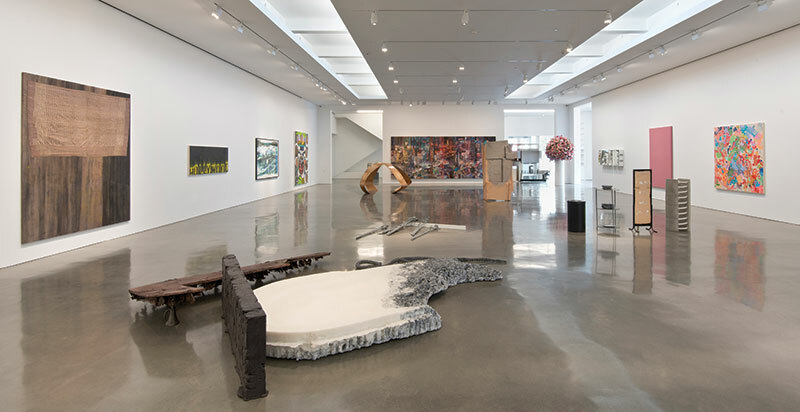 O’Herlihy describes the 4,100-square-foot space as “an urban oasis within the otherwise chaotic Skid Row district.” His big move was to sheathe ten structural columns in aluminum tubes that branch out at the top to support extruded fluorescent lights, creating a luminous forest after dark. Blocked clerestories were revealed to pull in natural light, while glass doors open to a landscaped patio. A conference room and 11 private offices borrow natural light through glass partitions and their yellow walls are reflected in the polished concrete floor of the central area, which adapts to a wide variety of activities and informal meetings. The space was built out for under $60 per square foot. The same mandate to do the most for the least guided LOHA’s designs for three sites on the periphery of downtown that SRHT was unable to acquire. Still SRHT will use them as models for future development, said SRHT executive director Mike Alvidrez. 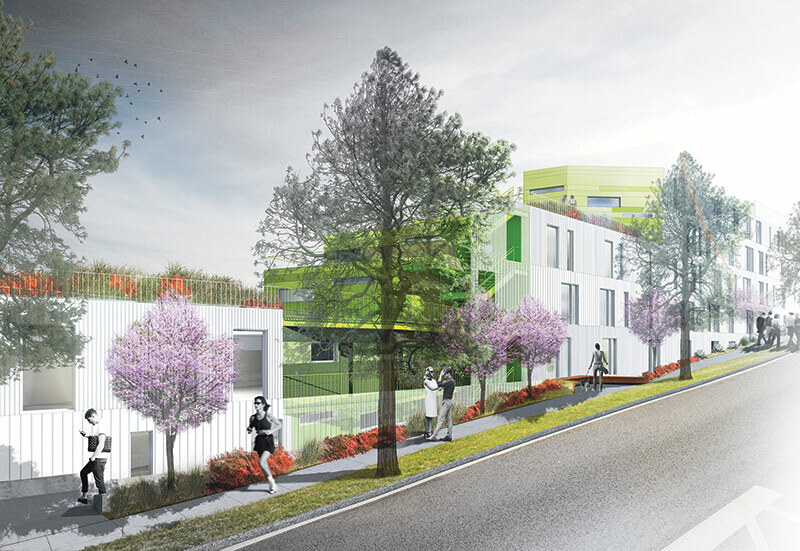 The commissions grew out of LOHA’s condo blocks in West Hollywood, specifically the low-cost Gardiner Apartments, and the block on Formosa Avenue that faces onto a pocket park. All three emphasized green space, a welcome element in the most park-poor city in the country. “We opened the front door to the sidewalk to make the homeless a part of the community, rather than something to be feared,” said O’Herlihy. The biggest challenge of the three was Plaza Vermont, located on the boundary of two gang territories. Rather than fortify the site, O’Herlihy proposed a staggered stack of prefabricated units, set back behind a garden that opens to the street but could be secured after dark, similar to Formosa. It exemplifies the vision of SRHT, and their insistence on buildings that include counseling and health services and boost the self-esteem of people who may be sick or addicted. 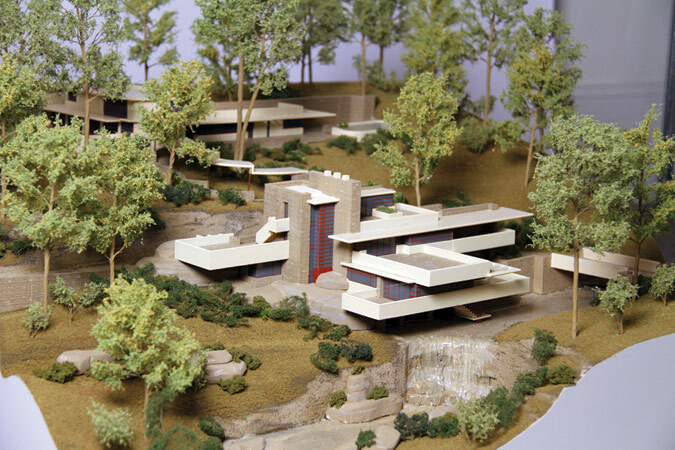 A 1:96 scale model of Frank Lloyd Wright's Fallingwater. The next room features a row of six full-scale, tactile house sections that use characteristic materials and technologies from different periods of American history, beginning with adobe and ending with structural insulated panels. Interactive but not dumbed down, the sections embody the evolution of American building techniques. 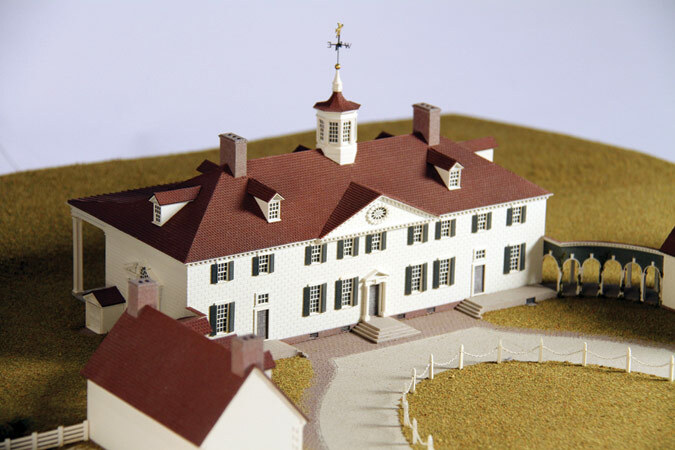 models of George Washington's Mount Vernon (left) and Thomas Jefferson's Monticello (right). Down the middle of the same room runs a line of 14 highly detailed models, all at 1:96 scale— Monticello, the Gamble House, Vizcaya, a Sea Ranch house, and looming over the rest, the Hancock Tower. There is some overlap with the wall sections, but as with much of the show, the takeaway is unclear. Are we meant to situate these iconic structures within the context of building history? If so, it’s illuminating to learn that Fallingwater inspired the trend for sliding glass patio doors, less so to be told that McKim, Mead & White influenced Robert Stern. The gap between mainstream housing and capital-a Architecture, between social history and design history, is never quite acknowledged. One gallery shows a bewildering array of nearly 200, mostly common household objects: Atari game console, plunge bath, Barcalounger, butter churn, lawn sprinkler, and so on. 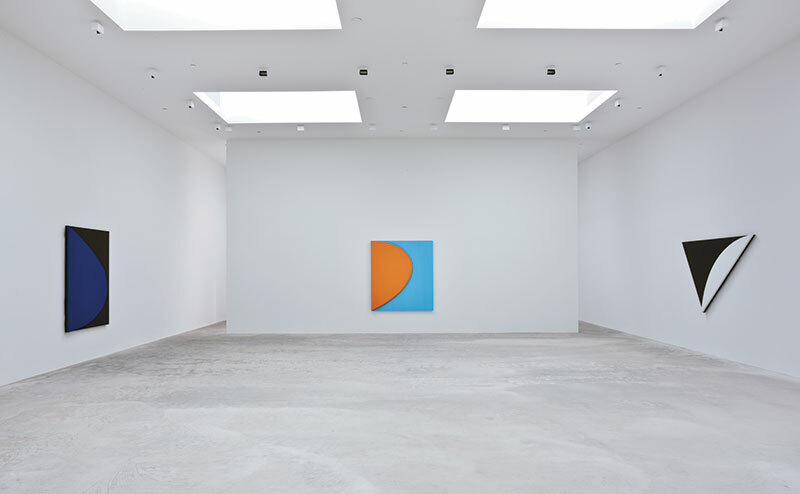 Visitors will enjoy pointing out familiar objects, but then what? This reviewer’s associative powers are not strong enough to form a meaningful connection between a Crock Pot and the Glass House, a model airplane and Mount Vernon. House & Home includes three groups of well-made films shot by different filmmakers, and these too betray the show’s unsure identity. 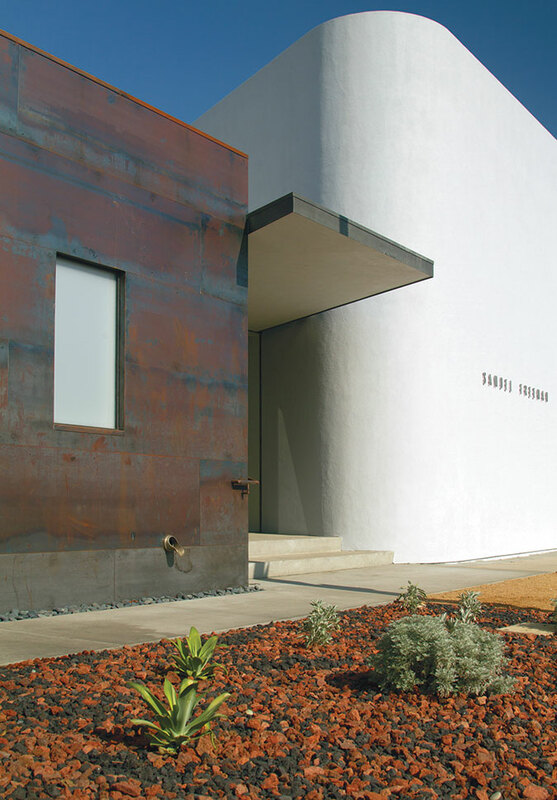 The beautiful “Welcome Home” films portray daily life within singular examples of contemporary architecture: Michael Maltzan’s Carver Apartments for formerly homeless adults, a desert home by Rick Joy, a Lazor Office’s prefab Flatpak House among them. It’s nice to see high design humanized, but the tacit argument—here is America at home—doesn’t ring true, given that only a tiny sliver of the population lives in architect-designed homes. In the “Community” gallery, the style shifts to urban documentary, with short films that explore specific neighborhoods. The best films may be those in the object gallery, which use clever, lovely animations of archival photographs to illustrate homemaking through the centuries. A lot of care went into the details of House & Home, which makes its conceptual shagginess more disappointing. 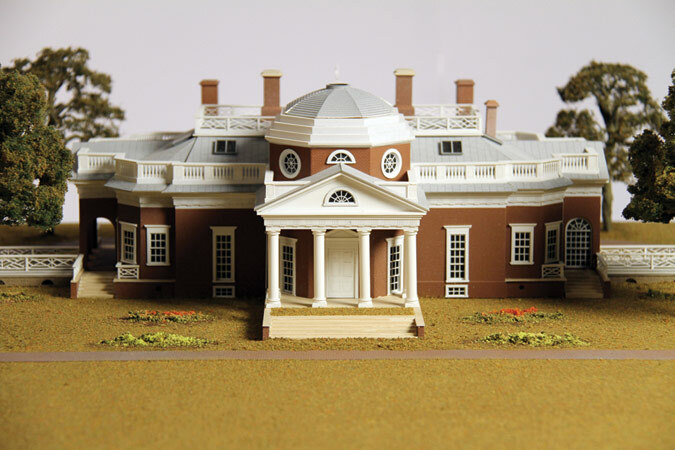 The National Building Museum has produced some excellent shows in recent years, including Unbuilt Washington (now on view) and 2009’s House of Cars. 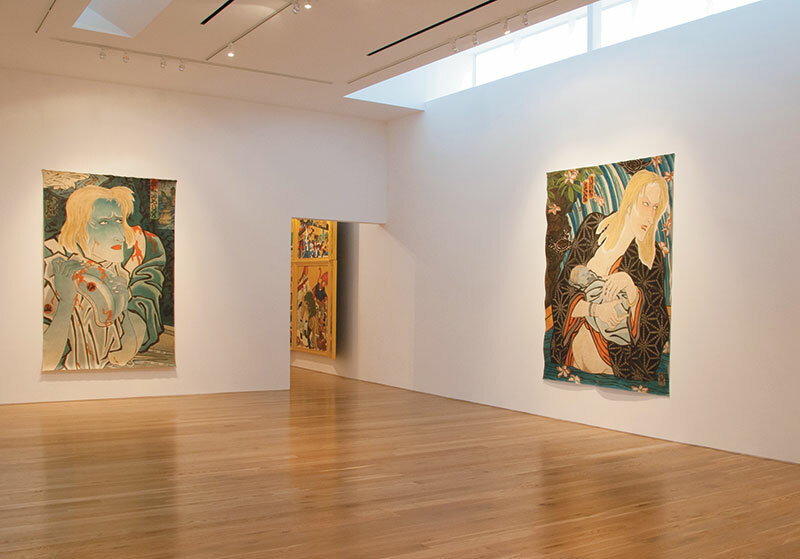 A narrower focus, as in those exhibitions, would have helped this one.